The RAAE Early View service presents final full-text, peer-reviewed, copyedited articles as soon as they are complete, published online in advance of publication of full issue. Articles include all figures and tables and are fully citable. Every Early View article carries an online publication date and a DOI for citations. Early View articles are considered fully complete, and once posted online are considered to be published. All articles that are published Early View in particular year, must have copyright dates of that year, even if they appear in print issues (on line) dated in the following year. 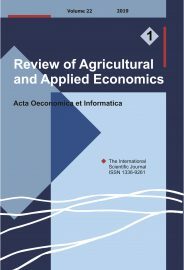 It is fine to cite the 2014 Early View article using the full reference as usual, but with the DOI in place of the Vol.,Issue,Page Range information (Example A). It is equally fine to cite the 2015 article using the full reference followed by the usual bibliographic data (Example B). However it would be incorrect to cite the article by full reference with usual bibliographic info with a 2014 date (Example C). It would be acceptable to cite the paper just by DOI with a 2015 date, as this is technically correct. However just to avoid confusion it is probably best to use the bibliographic information if it is available.